I have been wanting to get some more reviews in and I am woefully behind schedule. So along with my deep dive into the Forgotten Realms, I am also investigating more games and products built around Swords & Wizardry. 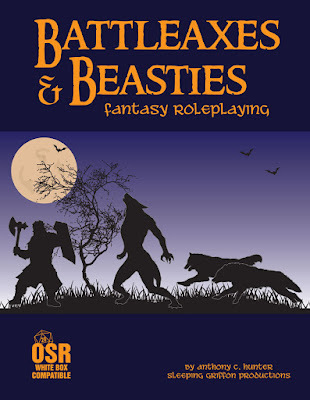 First up is Battleaxes & Beasties by +Anthony Hunter. Battleaxes & Beasties is a core rule book from Sleeping Griffon Productions. 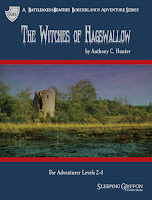 It is based on Swords & Wizardry, but has some interesting quirks of it's own. The book is 175 pages, black & white interior with color covers. There are hardcover and softcover options, I am reviewing the PDF. We spend a couple of pages going over the basic "what is roleplaying" and "what are these funny dice". We have all seen this a 1000 times, but it does make it work well for a new player. 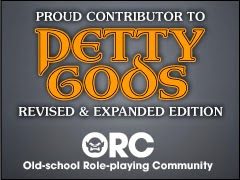 Indeed the whole book is great for anyone that has never played before. Since this is based on S&W we have the same basic six Attributes and modifiers. It is not till we get to the classes that we some changes. Now B&B can act as a standalone game, there are enough classes here, but it can also act as a supplement to and other S&W-based game. I could not help but feel there was a certain level of, well, camaraderie between this game and The Hero's Journey. Both fall closer together on the "Heroic vs Muder Hobo" scale than say Dungeon Crawl Classics. The classes include a Beguiler (which is like a Bard, but instead of songs he masters lies), the Faithful (like the cleric), Hunter (something like a Ranger), Scout ( Ranger-y Rogues), Totemist (Druid-Shaman cross), Warrior and the Wizard. All the classes advance to 10th level, so this is solid White Box territory. After the human classes, we get race-specific classes. Now, these are a lot of fun really. There is the Dwarven Guardian, Dwarven Paladin, Elf Ranger, and the Halfling Outcast. Seriously fun stuff. We are 20 pages in and the book has paid for itself in my eyes. There is a section on careers, which other games might call backgrounds. Spells come next and are sorted by class and level. There are some new ones here too, not just a rehash of the same old spells. Additionally, magic is divided into Arcane, Miracles and Fey magics. An interesting touch if you ask me. It doesn't have a lot of game play effects, save on how Rangers learn spells, but it does provide a nice bit of flavor. Next, we get to the default setting for this game, the Borderlands of Zarteth. It starts with a "Z" so you know it is going to be a dangerous or at least strange place! The setting is very D&D; that is neither good or bad, just what it is. I got the feel reading it that was Clark Ashton Smith plus Robert E. Howard, without the extra helping of doom and despair. 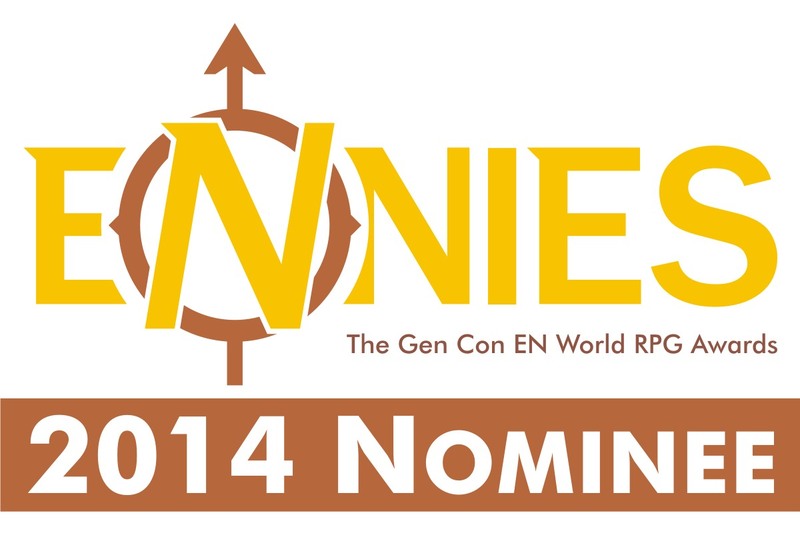 It's not 4e Points of Light, nor is it Hero's Journey's "Let's go on an adventure" nor is it the Grimdark of DCC. It is in between. The rest of the book is the Referee's Section. I say "rest" but it is really half the book. Everything you expect is here. The gem here is the Monster section. The monsters are divided up by type first then alphabetically. There are some nice new monsters here too, again making the book rather worthwhile. To go with those monsters are some great magical treasures. There is also an included adventure, reference sheets and a nice character sheet. 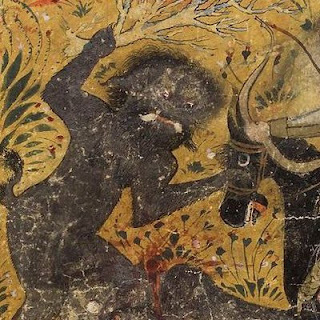 Battleaxes & Beasties does not break any new ground, but covers the same ground in interesting ways. Interesting enough to make it easily worth 10 bucks for the PDF. I am caught between 4 or 5 stars out of 5 here. I'll give it a 5 to adjust the review average. 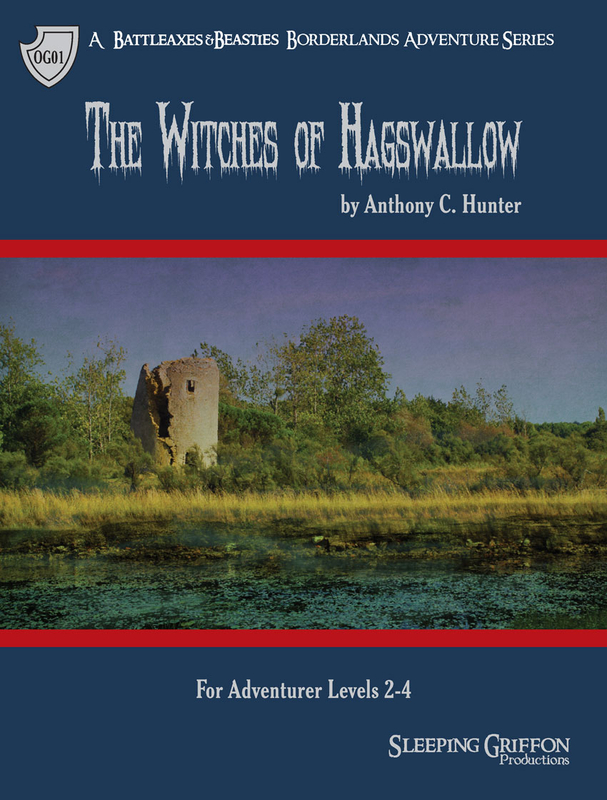 Witches of Hagswallow Adventure is an adventure for Battleaxes & Beasties. It is 47 pages, color covers, Black & White interior. Designed fro 3-6 characters of 2-3 level. It can be run directly after the included adventure in the corebook and gives more background on the setting of the Borderlands of Zarteth. It is a great example on how even the simpleist monsters can be used to great effect. The "witches" are not witches of course, they are harpies. But for all practical purposes, the might as well be. After all these are 2nd level characters; most have just learned which end of the sword is the dangerous one! There are a lot of great maps, a bunch of new monsters and it expands the world a little bit more for the players. The adventure also comes with pre-generated characters. Everything comes in the PDF, but separate files are also included. All in all this is a very fun system. Familar, but with a enough new materials to make it completely worthwhile.